Some casino game brands have been around longer than others. For example, ELK was founded as recently as 2012, while IGT was created as early as 1975. 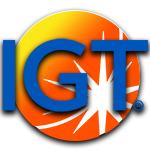 Granted, it wasn’t called IGT yet back then, but it was the same company. This developer was originally founded as A-1 Supply, after which it changed its name to Sircoma, and then to IGT, which stands for International Game Technologies. They’ve had the same name since 1981 and they have been a major player in the world of gambling over the span of several decades. They have since gone public, being listed on NASDAQ and the New York Stock Exchange, with offices in several quarters and a corporate headquarters in Las Vegas. In 2015, the company was acquired by Gtech S.p.A., which took over its name. That means the brand we all know and love will live on, while their legendary games can still be played both online and offline. And there are quite a lot of interesting games they’ve made over the years. This of course includes slots, but also video poker games, interactive wagering games and table games. It is interesting to know that IGT has made several unique offshoots of existing casino games over the years. This includes roulette tables with three wheels, an improved type of videopoker called Triple Play Draw Poker, and many other interesting products. That means there are plenty of new things to explore when you want to try your luck on their products. But we all know what slots, video poker games and table games are, so what about those interactive wagering games we mentioned earlier? Back in 2005, International Gaming Technologies bought a company called Wagerworks, which was a supplier of games for several online casino websites. Simply put, that means interactive wagering games can be translated as online casino games. That is also the reason why we can now enjoy many of their products on the internet, without ever having to leave the comfort of our own homes! While IGT is probably the number one game brand in land-based casinos in the world, it still has plenty of competition when it comes to online gambling. Because in addition to other classic companies like WMS, Novomatic and Amatic, there are also plenty of other developers to be found at online casinos. Those (relatively new) developers produce slots, video poker games and table games which are a bit flashier than what we are used to with IGT, while they also try to innovate existing products in many different ways. But there is one advantage that International Game Technologies has over the rest and that is its name. The IGT brand can be seen as a stamp of excellence, or as a trusted source of entertainment when it comes to gambling. So even though their games aren’t necessarily as hip or as modern as many others, at least you know that you will get a very high-quality product when you decide to try your luck on one of their machines. For all that matters, it is important that you don’t get the wrong idea… The online slots which are produced by IGT are extremely fun, while they definitely aren’t bad to look at, either. For example, some of their most famous slots are Wheel of Fortune, Ghostbusters, Family Guy, Wolf Run, Jeopardy, and so on and so forth. Those flash games are unbelievably entertaining, while they are undoubtedly on par with the products that were released by other developers in recent years. And what about the MegaJackpots slots? The three different MegaJackpots, being Monopoly, Cluedo and Cleopatra, will give you a chance to win a progressive jackpot at any given time which is usually around a million euros! Of course, there are also a few other online jackpot slots which will let you win even bigger prizes, like Mega Fortune by Netent and Mega Moolah by Microgaming, but one million isn’t exactly pocket change either! In other words, gamblers who like slots should definitely try some of the big names in the IGT portfolio at least once. Because they are real classics and they will give you that true Las Vegas feel!